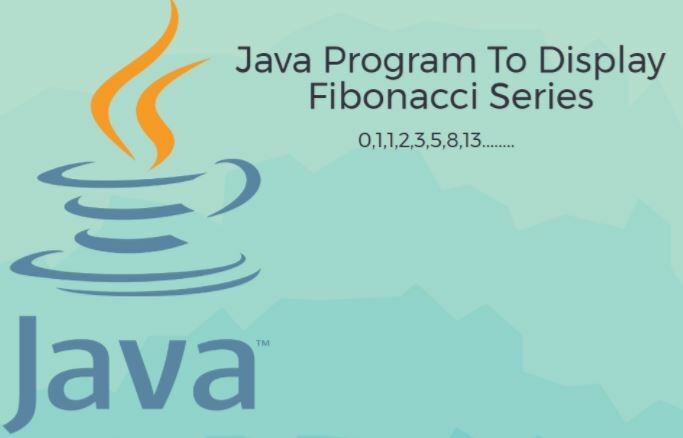 So, you are here to find the suitable program for you to display the Fibonacci series. Fibonacci Series is one kind of series in mathematics. It is also known as Fibonacci sequence. If you try to understand the protocol of this sequence you can easily get it. Just notice carefully the first two numbers that are zero and one. Then 1 comes. That means the third term is nothing but the summation of the previous two terms. and the series starts with 0,1 which are initialized terms. You have understand the sequence. 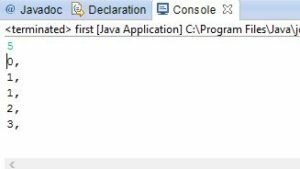 Now its time to go for the Java program. You can use these algorithm in other programming languages too. 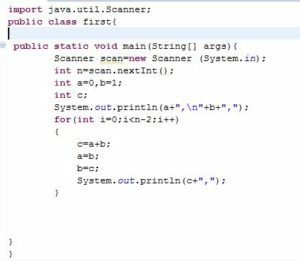 this line will import the scanner util so that we can use Scanner in our program to set the range or set how many terms we are gonna print in our series. and take a variable n where the value of n will be inserted by user during run time. \n is used to go to the next line and + is used to concatenate these. Then we run the for loop where we have initialized i=0 and the loop will run until the value of i reach to the value of n-2. think for a while why we have written n-2 ? just because we have previously printed the first two terms manually. and then printed the value of c in the for loop. it will print the value of the addition of last two terms continuously until it reaches the desired length of terms.